WBT is a company created to offer you the best in wire mesh cabletray products and solutions. Our management team is comprised of some of the industries most experienced leaders within the market, who used their collective knowledge to build a company from the ground up. 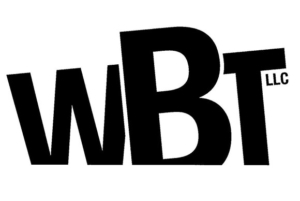 WBT offers product designs and solutions that no other company in the marketplace can. WBT’s Shaped Wire (patent pending) revolutionizes wire basket tray, offering substantially more cabling support and greatly reduced cable strain. WBT-U addresses the installation complexities of many underfloor solutions. No tools, no assembly, just a faster universal installation. And for the Contractor/Installer, WBT offers tray lengths up to 12’, which substantially decreases the splicing time and materials costs versus any competitive offering. Manufactured at our facility in Illinois with new, state of the art equipment, WBT offers the highest degree of quality and repeatability in our products. Made in America and with leadtimes that the competition cannot match, we understand the unique needs of all of our customers (distribution, specifiers, end users, and the contractor) and have products, programs and support to ensure that your needs are exceeded each and every time.